Think we know more than babies? A reader shared with me an interesting experiment she and her friends did when they weaned their babies. I admit I don’t know about this when J and K were young (I wish I did as it must be interesting). And it’s called baby-led weaning. Surprisingly, according to her, baby knows what foods to choose and chances are they know what is good for himself. They always end up having healthy foods. Sad but true, most parents only know feeding them with milk formula. What a natural way to counter child obesity! I do agree babies have the natural instinct of knowing what is best for them – which unfortunately have been buried in adults when we grew up. If you plan to do this, there are a few things you need to be aware of. Among them is choking. 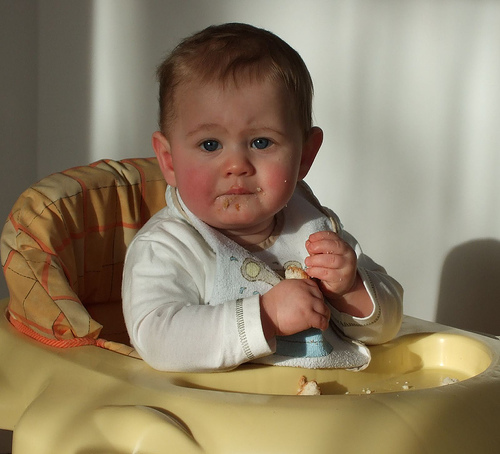 Read up more about baby-led weaning before you embark on this.